Colombia has authorized the "Da Dan Xoia" to set sail after it was caught carrying 100 tonnes of explosives to Cuba illegally, the prosecutor's office said on Apr 21, though it continued to hold the vessel's captain pending a criminal investigation. A Cartagena-based judge authorized the ship to depart after nearly two months because Colombian authorities do not have the logistical capacity to unload, store or destroy the weaponry found aboard. The ship was detained on Feb. 28 after docking in the coastal city of Cartagena on the Caribbean coast. Inspectors found the explosives plus 2.6 million detonators, 99 projectile heads and around 3,000 canon shells on board. The documentation presented by the crew said the ship was carrying grains. China's Foreign Ministry said the ship was transporting regular military supplies to Cuba as part of its trade and military cooperation with the communist-run island and that it had not violated any international norms. The producer of the cargo, Norinco, is China's biggest arms maker. The recipient was stated as importer Tecnoimport in the Cuban capital Havana. 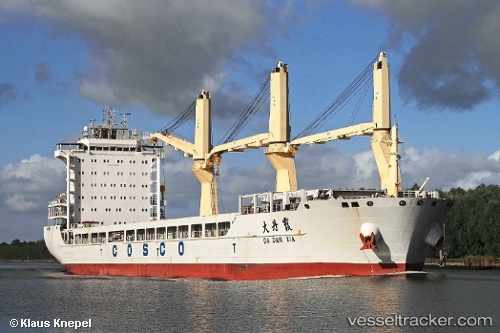 China says detained ship involved in "normal trade cooperation"